Ahh. Valentine's Day. It's easy to get a tad cynical as you spy shop windows full of helium-filled hearts, but it's also a marvellous excuse to buy a little gift for someone special. We may be biased, but we think books hit the spot on that score. So just in case you are thinking of buying a gift for someone on Feb 14th, we’ve put together our usual list of quirky and off-the-wall suggestions. 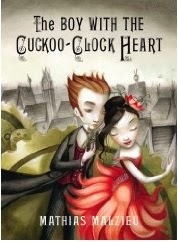 ‘The Boy With The Cuckoo Clock Heart’ is a wonderfully written gothic fairytale for adults by hugely talented French author (and singer) Mathias Malzieu. It tells the beautiful tale of Little Jack, born in Edinburgh on the coldest night the world has ever seen, with a frozen heart. To save him, a doctor replaces it with a cuckoo clock. Growing up, he is told neither to love or hate, for it would strain his ticking heart. But of course, he does fall in love, and that leads to a journey through the world to win the girl's affections. Along the way, he meets all sorts of characters (including a girl with an eye that changes colour with the weather) and together they weave a fairy tale that makes you think of love, life and everything strange in between. It’s a lovely translation by Sarah Ardizzone – and is a lovingly-produced little hardback. 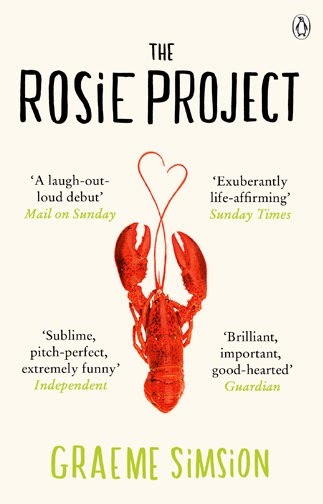 If you are looking for a genuinely feel-good fiction read, we heartily recommend ‘The Rosie Project’ by Graeme Simsion. It’s unashamedly sweet, clever and very funny. Mark thinks there's nothing more romantic than the stars. 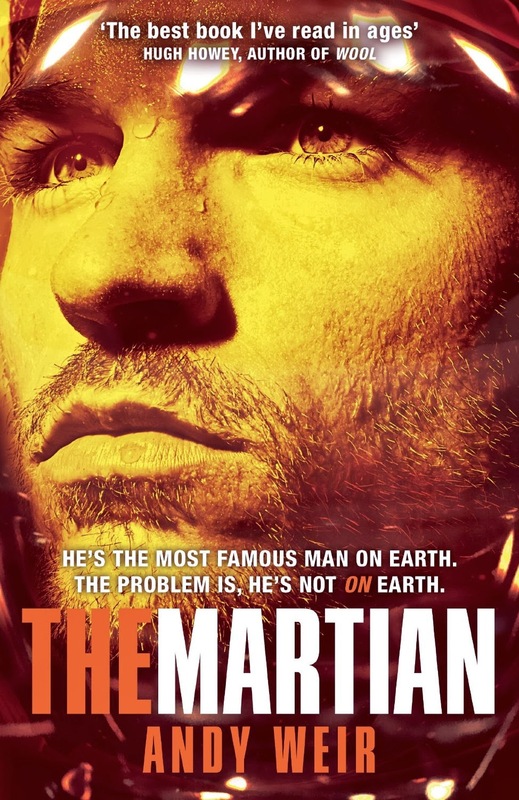 Well, let's be clear, what he means is 'space' - and this book, 'The Martian', published on 13th February, is already one of his favourite books of the year. A life-threatening situation, a man stranded, a world watching agog as a high-stakes rescue mission looks to go horrible wrong. And most of the action takes place on Mars. Meticulously researched, and, yes, even a deep-space romance to boot, this is intelligent, accessible, exciting with possibly the most nail-biting lift-off ever written. The term 'tour-de-force' has become a cliché, but, honestly, we can't think of a better gift for anyone even vaguely interested on what it might be like to live on Mars with current technology. If you yearn for some exotic travel slightly closer to home, and food is your idea of a romantic gift, we might as well declare that we are fans of the peculiar brand of British craziness and eccentricity which are ‘The Hairy Bikers’. They might have made a big splash with their dieting recently, but Dave Myers and Si King are still at their best on a good old-fashioned gastronomic road trip. 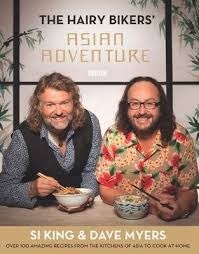 And next week is the first in a six-part BBC series ‘Hairy Bikers' Asian Adventure’. We are seriously impressed with the tie-in cookbook, which takes traditional recipes from Hong Kong food stalls to Japanese temples, often giving them a genuinely British spin. We particularly love the Korean ‘kimchi’ recipes, which are both fun and extremely ‘in’ at the moment – and we have the book at £3 off in the shop. 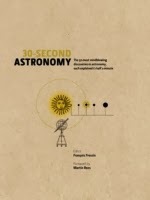 So far so good - fairy tales, romance, food and interplanetary space travel. How about poetry? 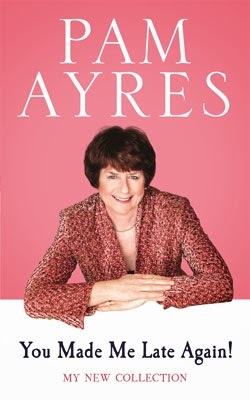 There are probably no more than a handful of poets who put poetry into everyday life as brilliantly as Pam Ayres. Clever, wistful, wry and very, very funny, Pam definitely seems to get better with age, and in 'You Made Me Late Again' Pam is tackling subjects as diverse as your son leaving home for university, becoming a gran for the first time - and even the terrible consequences of a night out trying to recapture your youth. 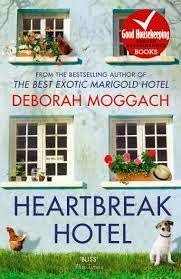 Back to fiction next, and author Deborah Moggach has followed up her huge success with 'Best Exotic Marigold Hotel' with 'Heartbreak Hotel'. Here we have Buffy - surprised to find he is glad to be on the run from too much gentrification from his home in London - and surprised how easily he slips into the rural life. He hits on a wheeze to fill his dilapidated B&B rooms by running 'courses for divorces', but ends up acting as a lonely-hearts, agony aunt for people who think they may have got a little too old to ever find someone to share their bed. It’s difficult to think of anyone who does this sort of 'social comedy for the third age' better. Bill Nighy as Buffy anyone? 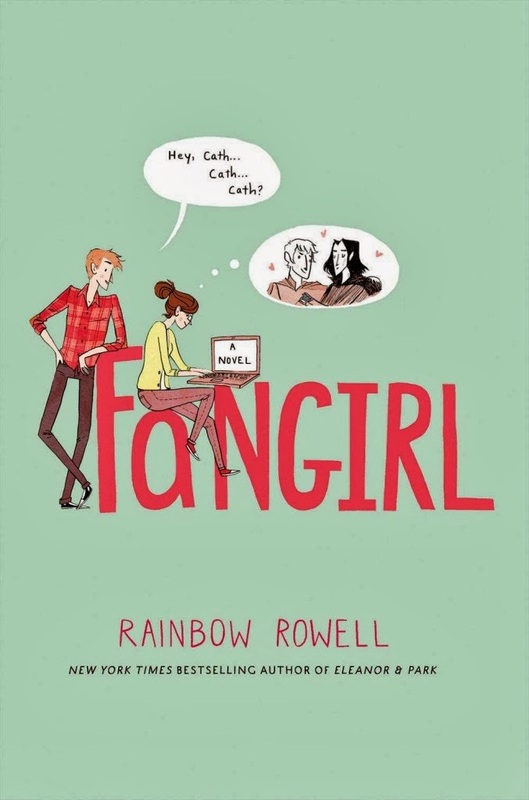 Rainbow Rowell's 'Fangirl' is the story of Cath, who has to move out when she and twin sister, Wren, go off to university. But Cath would rather sit in her room and write 'Simon Snow' fanfiction than make friends. Her roomate, Reagan, and the always smiling Levi, won't let that happen, however, and slowly Cath learns to open up and admit that love doesn't just happen in books. 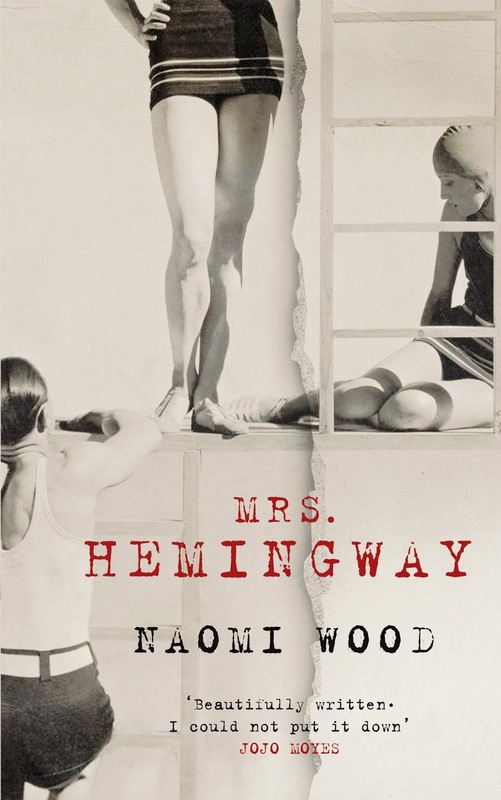 And finally, if you like a good dose of reality with your love stories, 'Mrs Hemingway' by Naomi Wood provides it in a rich dose. Ernest Hemingway is a struggling poverty-stricken writer and when rich and glamorous Fife appears on the scene it's not difficult for her to position herself in his life. But if he's so easily lured away, will Fife be able to hold onto him? A beautifully realised, real-life story of the four extraordinary women who will learn what it means to love the most famous writer of his generation. (It also, incidentally, has one of the finest opening paragraphs you will read - setting up the book perfectly). So that's nine books for you - want another three to round it up to a dozen? Then take a peek at our reviews of 'Life After Life' by Kate Atkinson, 'The Goldfinch' by Donna Tartt, and 'Longbourn' by Jo Baker. And a big hug from us of course!